GALLOWAY TWP. — A joint investigation by the Atlantic County Prosecutor’s Office and the Galloway Township Police Department into illegal gun-trafficking resulted in the arrest of a Galloway Township man and the recovery of illegally sold firearms, Acting Atlantic County Prosecutor Jim McClain announced. At the conclusion of a five-month-long investigation by the Atlantic County Prosecutor’s Office Gangs, Guns & Narcotics Unit and the Galloway Township Police Department, Jared M. Horton, 26, of the 100 Block of East Boundary Avenue in Galloway Township was charged with illegal possession of a shotgun, and selling a firearm without being licensed or registered to do so. 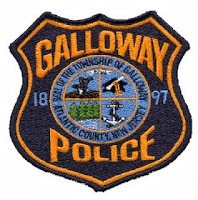 "This is just one example of the ongoing successful and cooperative efforts between our two agencies in investigating various types of criminal activity in Galloway Township" Galloway Police Chief Patrick Moran said. "The end result in this case has been four guns off of the street and out of the hands of others. The suspect responsible for selling the guns in question has been arrested" Chief Moran further stated. On April 15, 2014, Horton was arrested and lodged in the Atlantic County Justice Facility in lieu of $100,000.00 cash bail, set by Municipal Court Judge Howard E. Freed. . The charge of illegal possession of a shotgun is a 3rd degree crime, with a potential penalty of between 3 and 5 years in State prison. Selling a firearm without being licensed to do so is a crime of the 4th degree, punishable by a term of imprisonment not to exceed 18 months. "We will continue our efforts to address crime such as this, while also taking a proactive approach to investigate other types of criminal activity within our Township" Chief Moran said.